Bridgestone has announced that it is one step closer to making punctures go away forever. 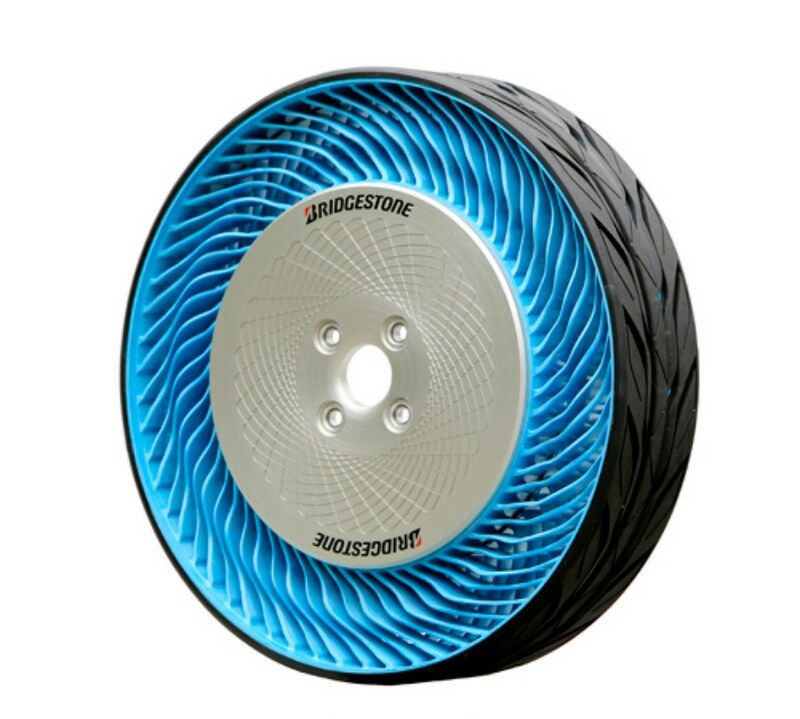 The company's 'air free concept' tyre, now in its second generation, is reinforced with spokes that are made of thermoplastic resins that become flexible when heated and solidify when cooled, thereby forming a solid yet flexible layer inside the tyre. This means punctures and even constantly worrying about tyre pressure would no longer be a concern for motorists. The resins can be heated and cooled multiple times, therefore making them recyclable. Thanks to exhaustive finite element method studies, Bridgestone has also been able to zero in on a design structure that reduces stress and deformation in the inner part of the tyre. The second generation 'air free concept' tyre now has lesser rolling resistance - most of the resistance is due to the deformation of the tyre when it interacts with the road - by simply using propreitary materials and simplifying the structure of the tyre. The thermoplastic resin comes into play here, as the material can help in distributing the pressure throughout the tyre, thereby minimising damage to the contact patch. Everything from the rubber on the outside to the thermoplastic resins on the inside is completely recyclable. Compared to the first-generation concept that could handle only a vehicle weight of 100 kg at a constant speed of 6 kph, the second-generation tyre is leaps ahead as it can support a maximum vehicle weight of 410 kg at a constant speed of 60 kph. 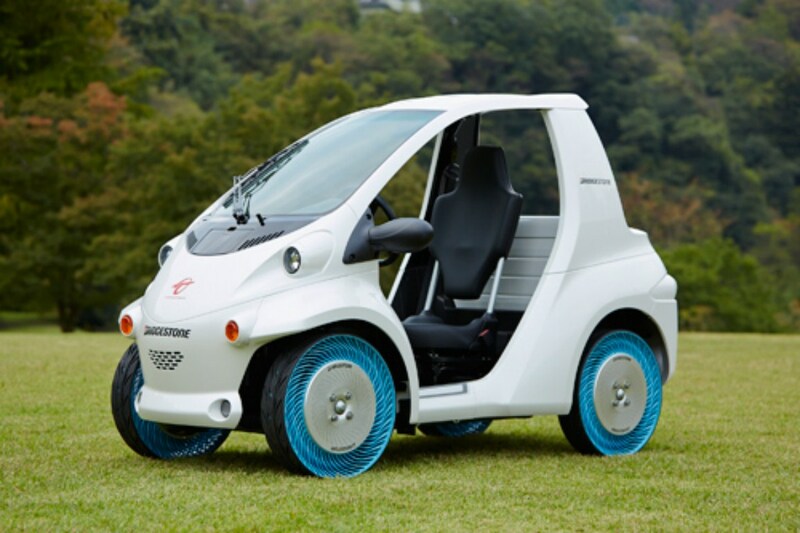 The Japanese company aims to put this 'air-free tyre' to commercial use as soon as possible, as per a statement released on November 21st. Check the press release for more details.